If you have a slow swing speed, that’s going to affect how far and fast your balls travel, but you can improve the distance of your shots by choosing an appropriate ball to match your swing speed. We’re going to show you how to choose the correct golf ball for your needs and how to avoid some of the common mistakes people make when they are shopping for golf balls. If you choose the right kind of golf ball, you can improve how fast and how far your shots travel, getting much closer to the flagpole than you normally would. That keeps your par down and improves your score, ultimately allowing you to do better and enjoy the game more. You may not be able to do much to change your swing speed. A big part of that is your physicality. It’s far easier to change up the kind of ball or club you are using. Most golfers understand that there are certain times you will use specific clubs, but it’s harder for them to know when to use different golf balls. They may not even realize the impact that different balls can have on their game. If you take two kinds golf balls out on the course and compare how they play, you will notice a big difference. The ones that are suitable for your swing speed are going to go much farther and be easier to hit high up into the air than the generic ones that are not made to accommodate you. Once you realize what your swing speed is and where your weaknesses and advantages lie, then you can choose more suitable golf balls. We want to show you now some of the best golf balls for slow swing speed, and we hope one of them will work well for you. The compression in these is absolutely perfect for a slower swing speed. If you hit consistently below 90, then the solid inner core is going to benefit you tremendously. The aerodynamic design of the balls ensures that they fly far and straight without much trouble. The cover keeps the spin low on longer clubs, ensuring a straighter shot. On shorter clubs, the spin is increased for a dynamic ball that plays well in any circumstances. These are pretty solid balls through and through, though. That can give some people trouble getting them into the air, but they generally play well and you may be surprised at how far they travel. Not as soft as you might like. The large core inside this golf ball ensures that it travels very far, even if you have a slow swing speed. The matte finish reduces glare and makes it easier to hit accurately and track through the air. 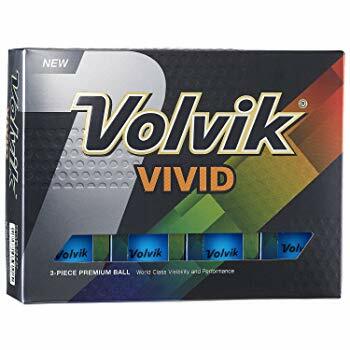 Volvik has chosen a low compression for this ball to help out slower swingers and enable them to get greater loft and speed from their hits. These attributes, combined with a medium soft feel, make these balls ideal for people with swing speeds between 70 and 90mph. 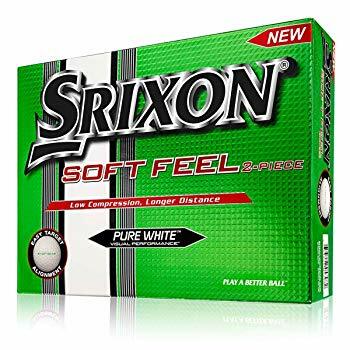 The price is pretty average for this kind of ball, though there are certainly cheaper golf balls you could get, but you aren’t likely to find anything at a cheaper price that performs this well. 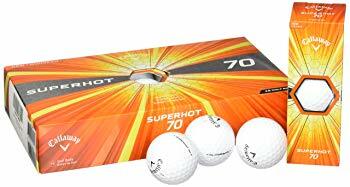 These balls give you great control around the green while allowing you to effortlessly hit those distance shots. A ball that works well anywhere. Designed through and through to accommodate slower swing speeds. Pricier than conventional golf balls. This is premium series of golf balls from a respected manufacturer, so the level of quality here is impeccable. The outer shell gives you a very soft feel, and for longer shots, you get very low spin to keep the speed high and the control reasonable. However, they still work well in short distance games, giving you enough spin to make even the difficult shots. They are durably designed and made to give you consistent performance, which is something you can only get from high quality balls, and that is why we urge you to spend a bit more and get something that is worth your investment. While these are balls that perform well, you can find others that perform better at the same price but may not work as well for producing long distance shots. Tough design means these will last. Can be used in long or short games. May not perform as well as other similarly priced balls. This is one of the most recommended slow swing golf balls on the market and for good reason. Their low compression rating enables longer distances, and the numerous speed dimples help to move the ball quickly through the air. The lonomer cover is fairly soft, but could benefit from being a bit softer. Still, at about half the price of other slow swing golf balls, you can’t really complain about the features this one offers. These balls are designed for people who have 70-90mph swing speeds. Low compression rating means long distance shots. 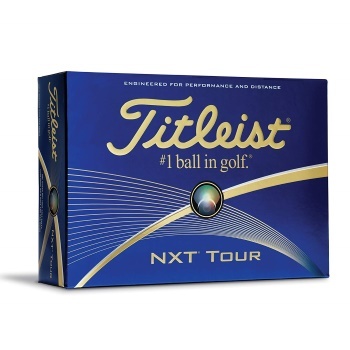 This is another affordably priced set of golf balls that is designed for speed and distance. These come in a few different color choices for better visibility and identification. They are designed to perform well and fly straight over long distances, keeping spin to a minimum during long games. They offer little air resistance to ensure they go far and fast, and they perform just as well as balls that cost more from other brands. On shorter games, however, they offer too little spin for most players’ liking. Keeps a low spin for long games. Not much spin on short games. Compressed Core- Some of the best golf balls for slow swing speeds, says Golf.com, are those that are soft on the outside but have solid, compressed cores. 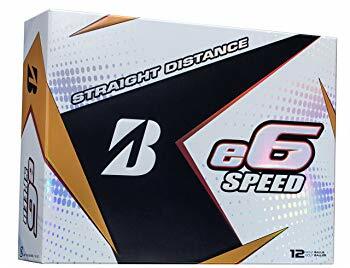 These are easy to work with around the green, and they will perform very well for you, but they also fly far and fast, giving you a great, all around ball that impresses on every level. Prepare to Pay More- If you are serious about using a ball that goes far and that performs well, then expect to pay more than the average price. Now, if you tend to lose a lot of balls, you may want to reconsider, but otherwise, shell out the little extra money to get something that is high quality, that will last for a while and that, most importantly, will give you some distance. Field Testing- You can buy a small pack of balls and test them out to see how they work for you or go out to the golf course with some rented balls and see what works best. Not everyone has this luxury, but it is something that the experts at Livestrong recommend, as it can help you determine what kind of ball will perform well. Field testing is the best way to see how different balls compare and to figure out what will be best in your specific situation. The Right Covering- Different types of coverings give you different advantages based on swing speed. If your swing speed is under 100mph, then you want a balata covering, in most instances. If it is less than 90mph, then you should go with a surlyn covering. For those who have a swing speed of over 100mph, an elastomer covering is ideal. However, the covering is only a small part of what makes a ball better for a specific swing speed than another ball. 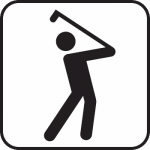 Choosing a High Compression Rating– According to Golfweek, the lower compression rating, the more suitable the ball is for a slower swing speed. So, if you pick a ball with a high compression rating, it probably won’t fly very far or fast with your swing speed. You need to know what your strengths and weaknesses are and buy a ball that is made to suit them. Using Hard Balls– If you struggle to get your swing speed up, then you won’t get very far with hard cover balls. You need something with a soft outer shell to ensure the ball lifts into the air and travels far. When you combine that soft cover attribute with a solid compressed core, you get a ball that is easy to hit, easy to get high into the air and easy to push far across the course. You won’t have to hit very hard to get some great distance out of it. Trying Only One Kind of Ball– You won’t know for sure what kind of ball is best for you until you have tried a few of them. Feel free to give a few different types of golf balls a workout before you settle on one. You may find that small variations in the cover or core make a difference, and it would be a shame to miss that just because you have already made up your mind about what will work for you. Never Changing Balls– As you improve, your tools will need to change to keep up. 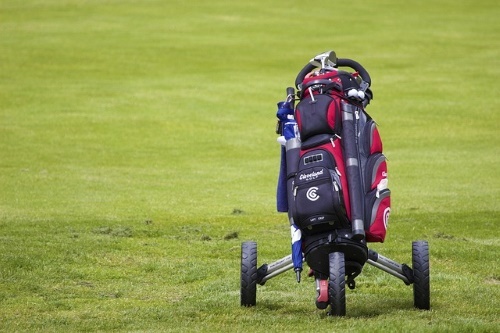 You should reevaluate your clubs, balls and other equipment as you improve. You may find that something else will work better for you as you advance in the game, so be sure to consider that from time to time. We have given you our top suggestions for golf balls and shown you how to pick your own. You should be well equipped to make an informed decision now and choose the best golf balls for slow swing speed. 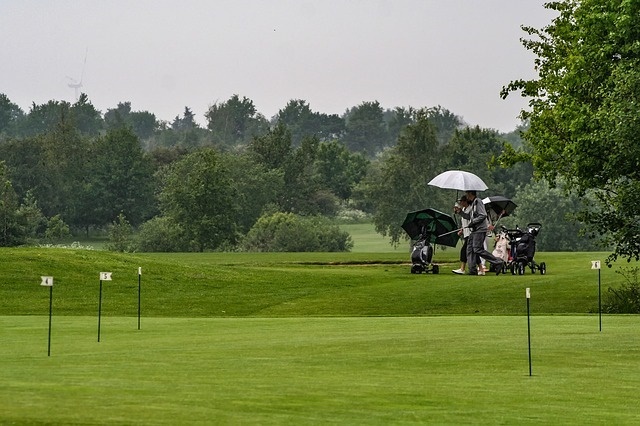 If you have found this guide helpful, then please let us know, and feel free to look at our other guides on buying additional golfing equipment.